Washington, Dec 6 (IANS) Dr. Arun Majumdar, an Indian Institute of Technology, Bombay alumni is among four eminent scientists chosen to serve as US Science Envoys beginning in January, 2015. Majumdar, a professor at Stanford University and an expert in energy, climate change, and innovation was named by the State Department along with Dr. Peter Hotez, Dr. Jane Lubchenco, and Dr. Geri Richmond. Majumdar, who graduated in Mechanical Engineering from the IIT, Bombay in 1985, he is a member of the US delegation for the US-India Track II dialogue on climate change and energy. In October 2009, President Barack Obama named him as the Founding Director of the Advanced Research Projects Agency – Energy (ARPA-E), where he served till June 2012. Announced by Obama in Cairo in June 2009, the US Science Envoy programme demonstrates the US’ commitment to science, technology, and innovation as tools of diplomacy and economic growth, the State Department said. “Like their nine predecessors, these distinguished scientists will engage internationally at the citizen and government and advise the White House, the State Department and the scientific community about potential opportunities for cooperation,” it said. 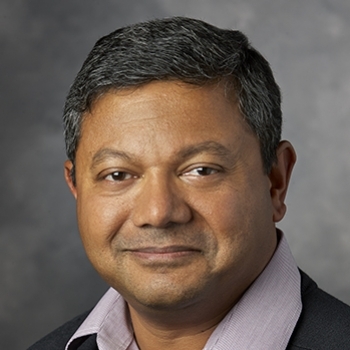 Currently Majumdar is the Jay Precourt Professor at Stanford University where he serves on the faculty of the Department of Mechanical Engineering and is a Senior Fellow of the Precourt Institute for Energy. Prior to joining Stanford, he was the Vice President for Energy at Google, where he created several energy technology initiatives and advised the company on its broader energy strategy. He continues to be a consultant to Google on energy. Between March 2011 and June 2012, Majumdar also served as the Acting Under Secretary of Energy, and a Senior Advisor to the Secretary of Energy. He currently serves on the US Secretary of Energy’s Advisory Board, the Council for the National Academy of Engineering and the Electric Power Research Institute, as well as the Science Board of the Stanford Linear Accelerator Centre (SLAC) and the Oak Ridge National Laboratory. Majumdar is also a member of the National Academy of Engineering and the American Academy of Arts and Sciences. He received his PhD from the University of California, Berkeley in 1989.